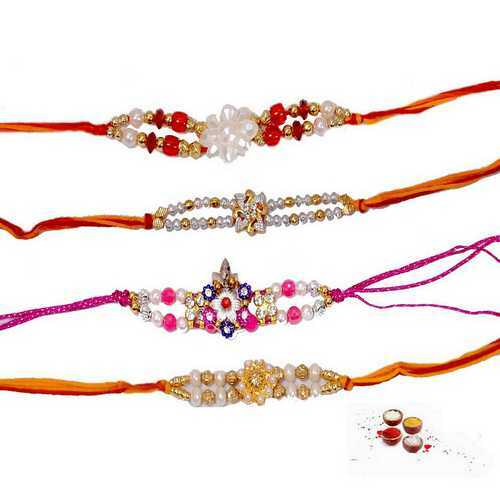 This is a lovely set of 4 beautiful auspicious rakhis skillfully designed with beautiful beads, american diamonds, golden beads and shining pearls. 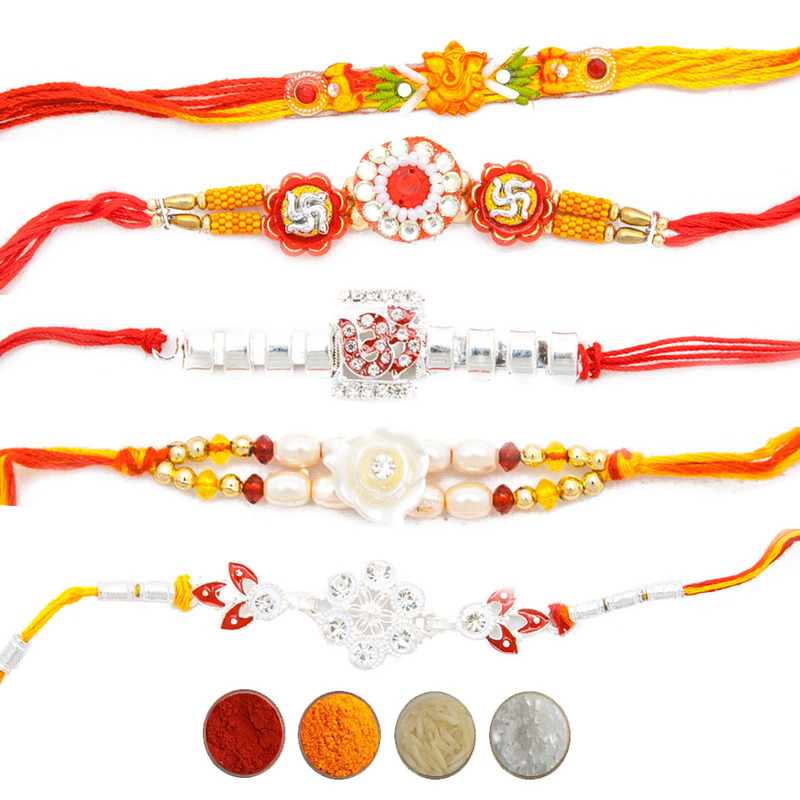 This set would be a perfect option if you are looking for 4 auspicious rakhis in elite designs and motifs for your four dearest brothers on this Rakhi festival. 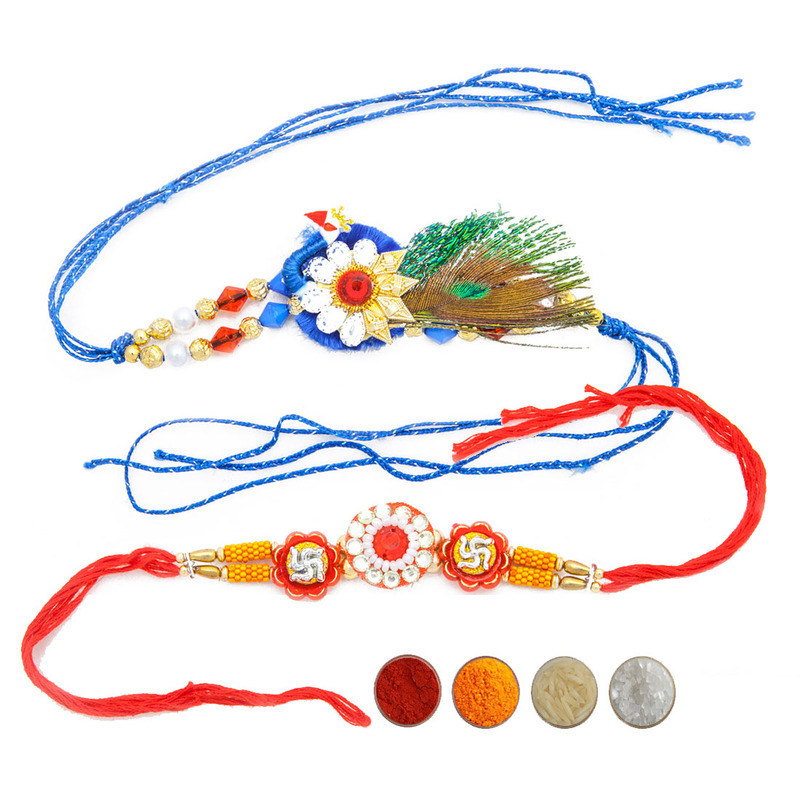 Send these beautiful rakhis online to India for your brothers to convey your love and warm wishes to them. 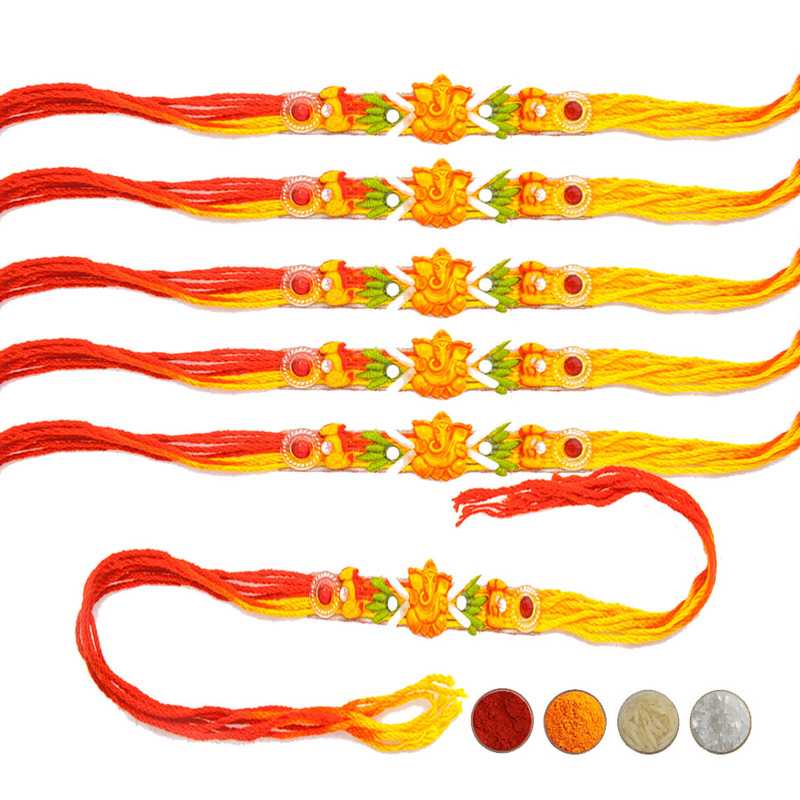 We are offering these elegant, fancy, designer and auspicious rakhi threads with complimentary Roli, Chawal, Chandan and Mishri in very attractive packaging. 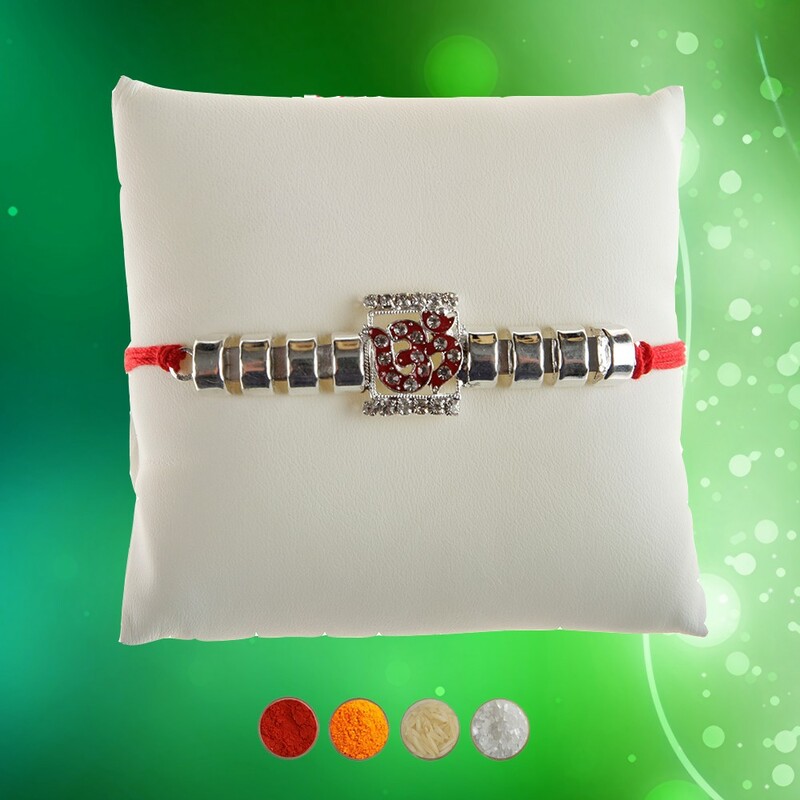 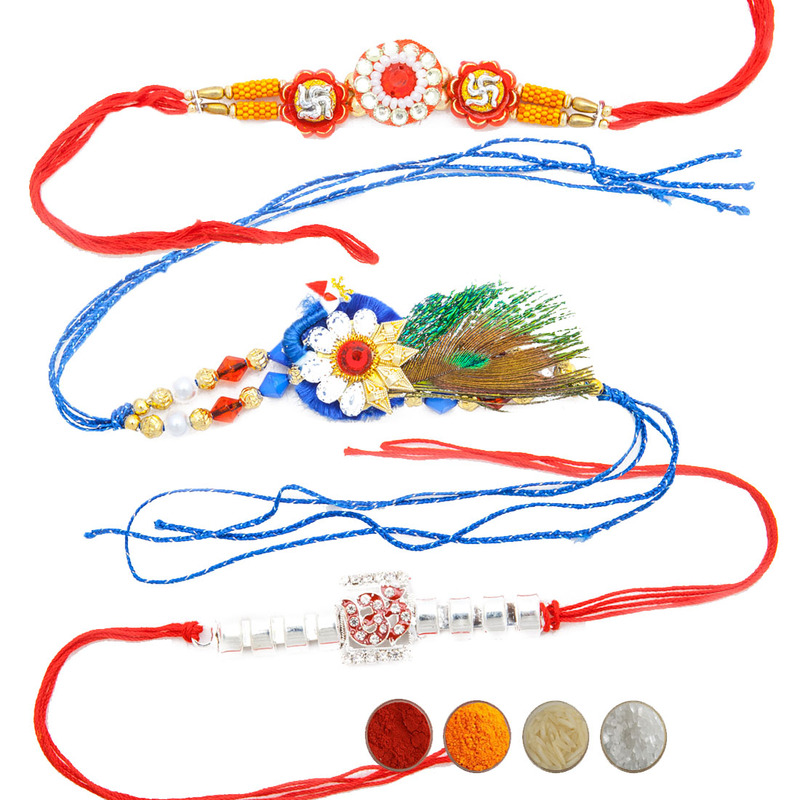 Buy these auspicious rakhis online and send to India for your dear brothers.